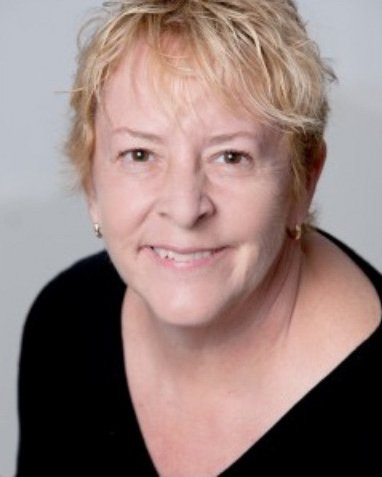 Taffie Bucci serves as Point Park University’s director of counseling. It is her job to ensure students can access mental health services. But from one school year to the next, demand to see a counselor has increased so much that wait times for a session have jumped from a few days to two or three weeks and sometimes even longer. “They have to wait for an appointment for two weeks and may be in a very disturbed state, or upset, or perhaps becoming worse,” Bucci said. This situation may be dangerous for the student seeking services and is highly frustrating for Bucci. And it’s not just an issue in the Pittsburgh region. The demand for mental health services is increasing on campuses nationwide, as is the strain to provide the care students need. From the 2009-10 school year to 2014-15, the number of students using on-campus mental health services nationally increased nearly 30 percent, while enrollment increased by less than 6 percent, according to a 2015 annual report by the Center for Collegiate Mental Health [CCMH]. It’s not new for institutions of higher education to struggle in making services available to students in crisis. The National Alliance on Mental Illness studied a four-month period in fall 2011 and found that half of 765 surveyed students who withdrew because of mental health issues had not accessed the services available at their respective colleges. Bucci joined Point Park in November 2015. Since then, more students are seeking counseling on campus. As Bucci counts it, 428 students attended counseling in spring 2016; in spring 2017, 671 students used campus counseling — a 57 percent increase. The figures provided by Carnegie Mellon and Duquesne universities focus on the percentage of the student body using mental health services. At CMU, 13 percent of students have used counseling services for each of the last four years, and 25 percent of students visit the Counseling and Psychological Services [CaPS] center at some point, spokeswoman Abby Simmons said. At Duquesne, about 7 to 10 percent of the students used counseling in the last four years. Some local colleges are struggling to provide mental health services in a timely manner to students while others still report short wait times. At Duquesne, there was a wait time of about three to four weeks for regular appointments as of Oct. 27. CMU said it’s usually able to provide an “initial consultation appointment” within five business days. Simmons said the actual start of psychotherapy depends on the student’s availability and clinic schedule, but that it is often within a few days of the consultation. Though PublicSource’s recent reporting has shown some students and alumni have concerns about the quality of Chatham University’s mental health services, it does appear the school’s waits are among the shortest at two to three days. “It is very seldom that we wait more than a week,” Chatham spokesman Bill Campbell wrote in an email. At La Roche College — where counseling sessions among students have risen 21 percent since 2006 — students can get an appointment the same day or the next day, said Lori Arend, director of counseling. Carlow University said wait times ‘depend,’ and Robert Morris University said the school doesn’t share its waitlist information. The University of Pittsburgh didn’t share its wait times but said initial screenings are offered daily. 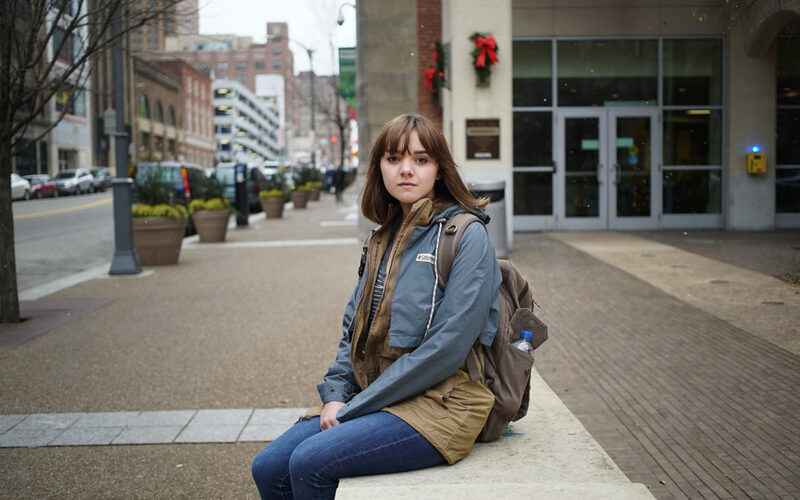 Maddie Aicher, a junior public relations and marketing major at Point Park, was diagnosed with manic depression and an anxiety disorder when she was 16. At that point, she said she began weekly therapy and a doctor prescribed her Zoloft. 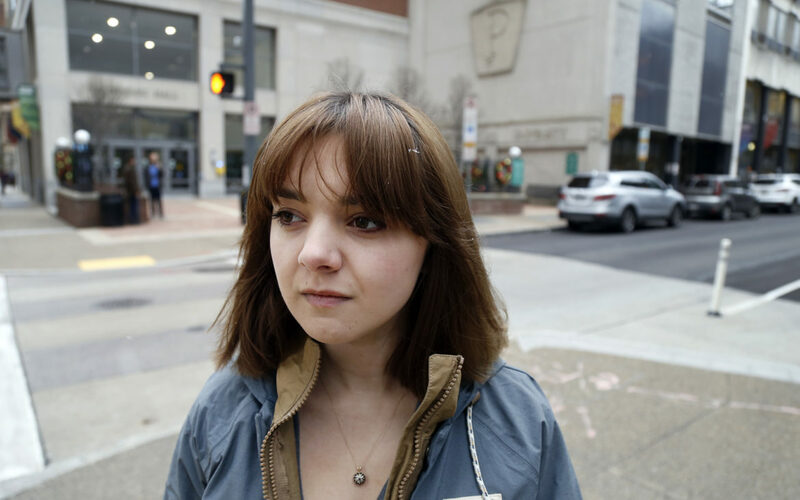 When she moved from Eastern Pennsylvania’s Pottstown into Point Park’s dorms as an 19-year-old freshman, she kept taking medication but didn’t seek out a therapist. “I thought perhaps just with my medication I could get by without it, but I found that by the end of the year I was really struggling,” she said. The eight colleges PublicSource surveyed indicated they make efforts to educate students about the counseling services offered on campus. Most said the information is posted on the school website, flyers and electronic advertisements around campus and that counseling staff present at health fairs and student orientations. Click for more school-specific details about campus counseling. Bucci said she speaks at every student orientation and in City and University Life classes at Point Park (a required class for freshman meant to adjust students to life at Point Park). She also welcomes emotional support dogs twice a month, available to all interested students. Aicher said she knew Point Park offered counseling but when she started as freshman, she didn’t know how easy it was to take advantage of it. During the middle of her sophomore year, Aicher started counseling at Point Park and has been attending on an almost weekly basis since then. Three of the eight colleges PublicSource surveyed impose no limits on how many sessions students can attend: Point Park, La Roche and Carlow. Respective representatives from Chatham, Carnegie Mellon, Robert Morris and Duquesne don’t have a set cap, though each specified they use a “short-term care” model. For students who use campus mental health services, the CCMH says institutions’ policies make a difference in how treatment ends for students. For example, if a school limits free sessions, treatment for a student with depression could be cut short. Cris Wildman, 23, had been going to therapy for depression, generalized anxiety and social anxiety since the age of 14. Whenever Wildman, whose preferred pronouns are they/them/their, first attended college out of state, their mental health took a big hit: Wildman was sexually assaulted, they said. Wildman left the university, moved to Pittsburgh and began working 70-hour weeks, washing dishes, nannying and doing other odd jobs. Wildman didn’t have any luck seeking therapy while on Medicaid. A year passed, and Wildman began studying at Duquesne University in 2016. Within a few weeks, they were taking advantage of the school’s free mental health counseling services. Wildman attended therapy almost weekly during the 2016-17 school year, until they and a counselor felt it was no longer necessary. After all of those sessions, Wildman is happier than ever. Pitt is the only college of the eight we surveyed that was more explicit about its session limit. With more than nearly 28,700 students enrolled in fall 2016, Pitt also has the highest enrollment of the schools surveyed. An article from The Pitt News published in November 2016 identified “years of long wait times” at the university preceding the implementation of this eight-session policy. In the fall 2016 semester, Bucci, the only licensed counselor at Point Park, said she worked an additional 94 hours (which equates to 94 appointments). Point Park is the only college among those that responded to PublicSource's request that employs only one licensed mental health professional. To compare, Carlow has two, Duquesne has five, and La Roche, a college with about 1,500 students, has three. According to Pitt’s website, there is one counselor for every 1,300 students. Pitt’s spokesperson was asked to provide further information on how many licensed counselors are employed but did not do so. Some schools are also using student trainees to take counseling appointments. Six of the schools surveyed use student trainees, such as doctoral students, according to respective representatives. Carlow’s spokesperson said it does not use student trainees, and Pitt did not respond. In the case of Point Park, the university employs two doctoral and five practicum students in training. Bucci said the students must be supervised by someone who is licensed and they can’t officially diagnose students. The effectiveness of student trainees varies from the perspective of students. Aicher’s counselor is a graduate student in training. “Being diagnosed at 16, I’ve been through quite a few counseling sessions with different counselors, and I don’t think the fact that she is a grad student makes her any less capable or any less helpful for me,” she said. Nick Morin, a former psychology student of Carnegie Mellon University whose preferred pronouns are they/them/their, feels differently. Having dealt with mental health issues all their life, Morin was diagnosed with major depression and generalized anxiety in 2014. Morin received therapy in fall 2014 at CMU. Bucci said she believes hiring more licensed counselors would make Point Park University better equipped to handle the number of students who are seeking counseling. “If we had someone like that, even part time, it would certainly allow me to get students in to be seen more quickly,” she said. But Bucci won’t be around to see any potential staffing changes; she resigned as director of counseling services at Point Park, effective Feb. 1, 2018, she wrote in an email Nov. 14. She declined to comment on her reasons for leaving. As there are no other licensed counselors employed by Point Park, the university’s search for a replacement is ongoing. This story was fact-checked by Atiya Irvin-Mitchell. Matt Petras is a senior journalism major at Point Park University and a PublicSource intern. He can be reached at matt@publicsource.org and on Twitter @mattApetras.